After breakfast drive to Hassan- famous for Deity Temple. On arrival transfer to hotel. After the relaxation drive to Belur- famous for one of the finest workmanship, on arrival visit Chennakesava Temple- known as Vijayanarayana Temple, UNESCO try to listed this complexes in World Heritage Sites list. Later drive to Halebeid, on arrival visit Hoysaleswara Temple- known as Dwarasamudra, built in 12th century and dedicated to lord Shiva. In the evening drive back to Hassan for overnight stay. 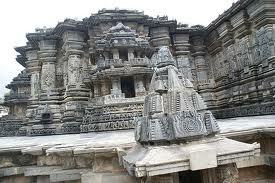 After breakfast, drive to Mysore, enroute visit Srirangapatna- famous for ancient temples. On arrival visit Sri Ranganathaswami Temple- dedicated to lord Ranganatha (Vishnu). Later drive to Mysore. On arrival transfer to the hotel, after relaxation drive to Brindavan Gardens- it was built in 1927. In the evening drive back to Mysore for overnight stay. After breakfast, expolre Mysore- famous for Rich Heritage, Beautifully Laid-out Gardens, Sacred Temples etc. Visit Mysore Zoo- known as Sri Chamarajendra Zoological Gardens, one of the oldest zoos in the world and it was built in 1892. 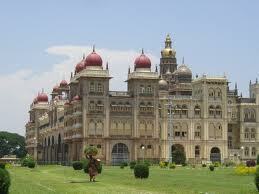 Later visit Mysore Palace- one of the most famous tourist attractions in Mysore was built in 14th century. After that drive to Ooty and on arrival transfer to hotel. Overnight stay in hotel. After breakfast expolre Ooty- famous as the Queen of hill stations. Visit Botanical Garden- famous for Paperbark Tree, Monkey Puzzle Tree & Cork Tree, built in 1847 by William Graham McIvor, Doddabetta peak- highest mountain in the Nilgiri Hills & Tea plantation. 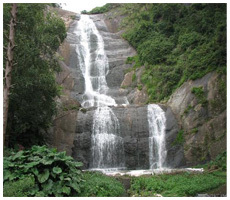 Later visit Blue hills of Nilgiri- famous for Waterfalls and Flora, see the various Wild Flowers, Greenery, Hill Slopes, Tea Garden and much more. Later visit Ooty Lake- enjoy the boat ride in the lake, it was built in 1824 by John Sullivan. Overnight stay in hotel. After breakfast, drive to Kodaikanal- known as the "Princess of Station” and the “Gift of the Forest”. On arrival transfer to hotel, after some relaxation visit Kodai Lake- known as Kodaikanal Lake. Overnight stay in hotel. After breakfast expolre Kodaikanal. Visit Coaker’s walk- the Romantic Pathway, built in 1872 by Lt.Coker, Bryant Park- famous for Hybrids, Flower & Crafts. Bear shola Falls- a soaring waterfall. After lunch visit Fairy falls- a charming picnic spot, Pillar Rocks and Silver Cascade Falls. Overnight stay in hotel. 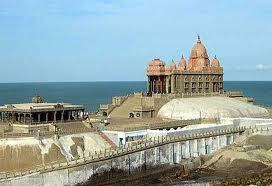 After breakfast drive to Kanyakumari- famous for Pearl Trade, Temples and Beaches. On arrival transfer to hotel. Overnight stay in hotel. After breakfast explore Kanyakumari and visit Kumari Amman Temple- 3000 year old temple also known as Devi Kanyakumari and dedicated to Virgin Goddess Kanyakumari, later visit Gandhi mandapam- depict the rich heritage cultural of india, built in the remembrance of the world famous Indian leader Mahatma Gandhi and Vivekanada Memorial. In the evening enjoy the sunset near Sea and drive to Madurai. On arrival transfer to hotel. Overnight stay in hotel. 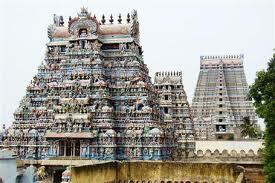 After breakfast visit Meenakshi Temple- known as Meenakshi Sundareswarar Temple, dedicated to Goddess Parvati and built by Pandyas and Madurai Nayak Kings & it is also listed in UNESCO World Heritage Site. 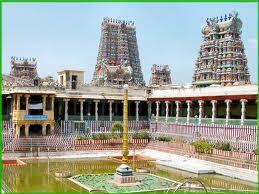 Later visit Palamuthirsolai Murugan Temple and Thiruchendur Murugan Temple- dedicated to Lord Muruga. After lunch visit Tirumal Nayak’s Palace- build with islamic styles by Thirumalai Nayak in 1636. Later visit Gandhi Memorial Museum- known as Peace Museums in the World (selected by UNO ) and built in the remembrance of Mahatma Gandhi, Koodal Azhagar Temple- dedicated to Lord Vishnu. In the evening transfer to airport to board the schedule flight to hometown and tour concludes with happy memories.